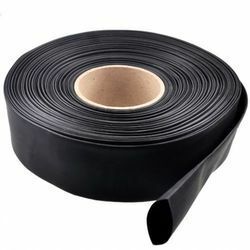 Leading Manufacturer of heat shrinkable tube, heat shrink tube and heat shrinkable sleeve (woer) from Delhi. Riding on massive volumes of industrial competence, we are betrothed in offering an excellent quality consignment of Heat Shrinkable Tube. Hot melt adhesive tube made from polyolefin ethyl vinyl acetate copolymer bonds both to the fiber and heat shrinkable outer tube to effectively encapsulate fusion splice. The strength member is made from "Full hard" stainless steel of 316 grade. This helps in avoiding rupturing during shrinking, resistance to corrosion. WE PROVIDE BEST QUALITY WOER HST SLEEVES 1MM TO 180MM.WE IMPORT FROM CHINA.